Two quality lochside cottages and a caravan on a secluded farm set in spectacular scenery overlooking loch Voil. Relax and unwind and enjoy our wildlife including otter, pine marten and eagle or fish for trout and salmon. Climb the hills, golf nearby or visit Glen Coe, Oban, Perth, Glasgow or Edinburgh. One cottage is designed for wheelchair users with easy access and wheel-in shower. 2 cottages: sleep 4 each, with 1 double/1 twin bedroom. 1 caravan: sleeps 4, 1 double/1 twin bedroom. Cottages from £190 per week. Winter breaks from £125. Caravan from £160 per week. Lochside Cottages open all year. Muirlaggan Holiday Caravan is open March to October. Lochside Cottages, Balquhidder, are situated on the southern shore of Loch Voil, in the Breadalbane area of the Loch Lomond and The Trossachs Scottish National Park. The location is close to Callander, Killin and Loch Earn - just a few miles east of Loch Lomond and north of Loch Katrine. 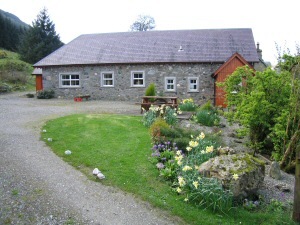 The two holiday cottages and a caravan are on a secluded farm, set in spectacular scenery. One cottage is designed for wheelchair users, with easy access and wheel-in shower. Lochside Cottages are listed as Scottish Tourist Board Four Star Self Catering Accommodation. 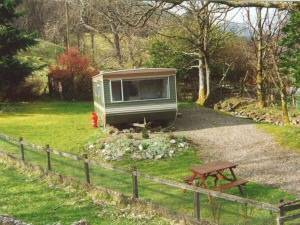 Muirlaggan Holiday Caravan is set in its own garden by a stream at the gate to the farmhouse, with ample parking space in the site. It has one double bedroom and a twin bedroom. There is an internal shower room and toilet. The kitchen / dining / lounge area looks out into fields and the loch. The caravan has mains electricity, a colour television and is supplied with gas for the cooker and heating. It is fully equipped except for linen and has pillows and duvets provided for each bed. Facilities for washing and drying are available. Relax and unwind, and enjoy our wildlife including otter, pine marten and eagle. 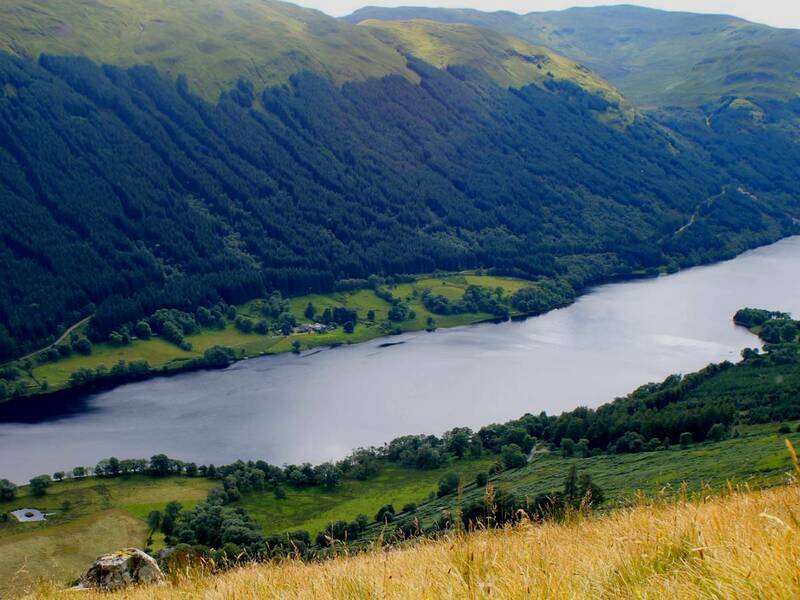 Climb the hills, explore Rob Roy's homeland; golf and watersports nearby - St Fillans Golf Course and Loch Earn Watersports Centre being at the eastern and western ends of Loch Earn, respectively. Alternatively visit Glen Coe, Oban, Perth, Glasgow or Edinburgh All withint 90 minutes drive. Anglers may fish from the shore or boat on Loch Voil for trout and salmon. Loch Voil contains wild salmon, brown trout, sea trout and arctic charr. Permits to fish on Loch Voil can be purchased from Muirlaggan farmhouse. Permits cost £5.00 per day. Boats are available for hire at £18.00 per day. A ghillie is available by arrangement. Residents at the lochside cottages or holiday caravan may fish for free from Muirlaggan shores. Boats (with or without an outboard motor) are available for hire.